Application has been developed by the IT Department of Dawat-e-Islami for android devices. 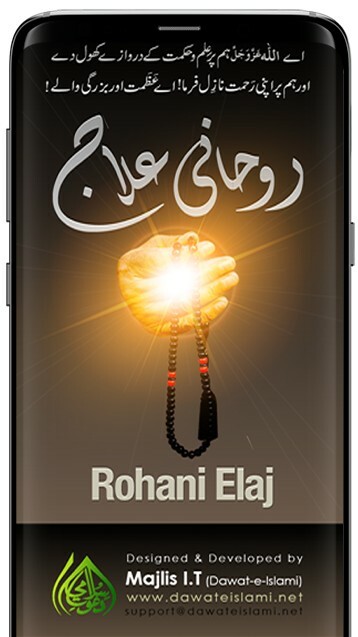 The IT department of Dawat-e-Islami, a global non-political movement for the propagation of Quran and Sunnah, has developed and presented a new application, namely “Ruhani Ilaj” for the spiritual treatment of Muslim Ummah. The App is based on 40 different Spiritual Cures (40 Ruhani Ilaj), a booklet of Shaikh-e-Tariqat Ameer-e-Ahl-e-Sunnat Hazrat Allama Maulana Abu-Bilal Muhmmad Ilyas Attar Qadiri Razaviدَامَت بَرَکاتُہُمُ الْعَالِیَہ . This enchanting application is designed with a marvelous layout. It includes various diseases and their spiritual treatments. “Quranic Wazaif” derived from “Asma-e-Ilahe عَزَّ وَجَلَّ” can be accessed freely on the app. Those who require instant Wazaif in their daily life can make use of this application. Use this application and let other Muslim brothers know about this and encourage them. Give us your valuable feedback at support@dawateislami.net.